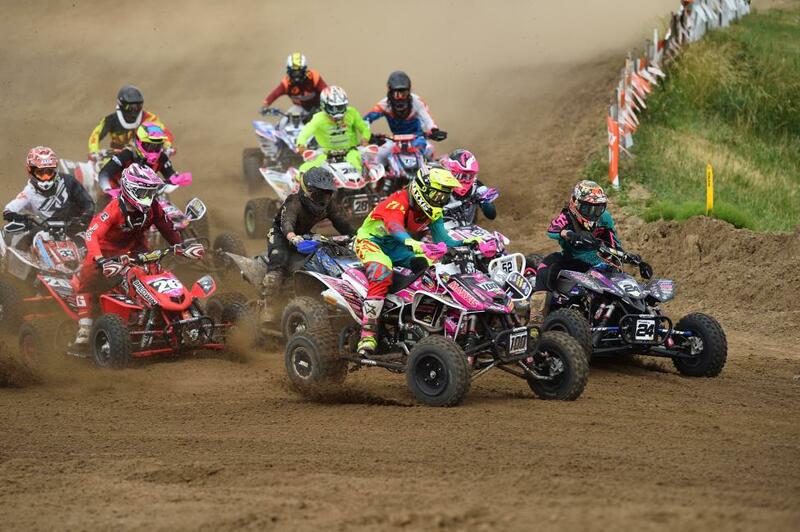 The ATV Promoters Group (ATVPG) is ecstatic to announce the brand-new state championship program that will be held in conjunction with the 33rd annual ATV Motocross National Championship (ATVMX) presented by CST Tires, an AMA National Championship. For the first time ever, each of the 2018 ATVMX rounds, with the exception of the season finale at Loretta Lynn Ranch, will be deemed an ATVMX State Championship. Each youth and amateur class winner will walk away with an AMA State Championship No. 1 plate. The program will encourage growth of the sport at the grassroot level, where local racers can make their bid against the nation’s best four-wheeled competitors for the coveted state title. For the 2018 season, nine AMA State Championships will be earned at the following events: Rd. 1, Florida, Daytona ATV Supercross; Rd. 2, South Carolina, South of the Border; Rd. 3, Texas, Underground; Rd. 4, Indiana, Ironman; Rd. 5, Pennsylvania, High Point; Rd. 6, Tennessee, Muddy Creek; Rd. 7, Illinois, Sunset Ridge; Rd. 8, New York, Unadilla and Rd. 9, Michigan, RedBud. The ATV Motocross National Championship presented by CST Tires, an AMA National Championship, is the nation’s premier amateur and professional ATV motocross series, hosted at top motocross facilities nationwide. The 10-round series features the Nation’s best racers, teams and sponsors, and is America’s largest and longest-running ATV national motocross program. Since 1985, the series continues to expand and produce top talent from the amateur ranks, while premiering the professional class. For more information, please visit www.atvmotocross.com.